Your toenails should be a lovely natural translucent shade, making your feet look pretty when they’re well groomed. But if they are marked by black spots, this can change things a bit. So, why do you have a black spot under your toenail? It is important to find out what’s bringing on this change so that you can treat the problem at the earliest. Another reason to get to the root of the problem quickly is that there are some more serious reasons for a toenail turning black, and these might require medical attention. 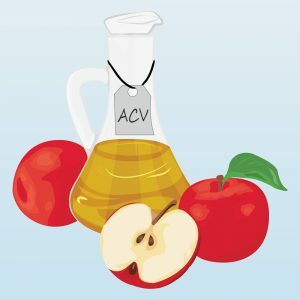 In most cases, though, you should be able to tackle the problem with some simple home remedies, a few precautions, and some simple treatments that don’t require elaborate visits to the doctor. And we’re here to help with some handy pointers and a guide to help you figure out what’s causing black spots under your toenails. What Causes Black Spots Under Toenails? Trauma or injury to the toenail can cause a black spot to appear below your toenail. This happens if the blood vessels below your nail break and result in bleeding which seems black. People who lead active lifestyles like athletes or sportspersons are especially susceptible to such problems due to the impact of the toenail with the shoe when they run or move about. Fungal infections can also start to look black. Though, usually initially white or yellowish in color, they may also turn black as debris builds up. Nail psoriasis may also result in nail detachment from the toenail bed, allowing bacteria makes its way under the toenail. This can become a dark greenish spot which you might mistake for a black spot. Some underlying health problems and illnesses like kidney trouble, anemia, heart disease, and diabetes may also result in black spots. Should these be the cause, it is important to see your doctor immediately. If you think you’re at risk, have it checked. Any black spot that doesn’t show signs of improvement in a week or two should be shown to a doctor. 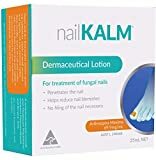 nailKALM is a clinically proven nail fungus treatment that can help you deal with fungal infection-linked black spots under your toenails. It is an easy-to-use product that doesn’t require prescriptions or visits to the doctor. Your nails will soak up this natural-smelling skin colored lotion, allowing it to be absorbed well so it can get to work. You will start to notice a difference almost immediately. Some users say that in as little as a week, the nail fungus began to recede and the spots started to lighten and clear up. This is an especially effective remedy, giving visible results in just 90 days for even those with moderate to severe cases of nail fungus. nailKALM is a fast-acting fungicidal with anti-inflammatory properties. It also helps repair your nails and the skin around the nail bed. Its natural active ingredient Arthrospira maxima or Spirulina is non-toxic and has no reported side effects. Another proven alternative is the Funginix Nail Fungus Treatment. Approved by no less than the FDA in the United States, this safe and effective solution is easy to use. Get rid of the fungus on your toenails and allow them to grow back healthy and strong with this remedy. This product contains tea tree oil, lavender oil, menthol, camphor, and a host of other all-natural ingredients. This formulation contains numerous organic antifungal ingredients along with FDA-approved undecylenic acid. While the recommended treatment time is 3 to 6 months, many people see results much quicker and are able to overcome the fungus completely well ahead of this timeline. Unlike thinner formulations, Funginix Nail Fungus Treatment is more viscous. This means that you don’t have to deal with the remedy running all over your toes and nails- something that is messy and less effective. Instead, when you apply it, it is absorbed by the nail and skin in 3 to 4 minutes. Will Black Spots Under Your Toenails Cause You Problems? If your black spot under the toenail is the result of injury, the subungual hematoma or broken blood vessels can also result in other symptoms like pain. Left untreated, this might become unbearable for some people, especially if the trauma was severe. Additional repetitive trauma to an injured toenail can also cause the nail to detach or bruise even worse. If the condition is especially bad, you should see a doctor and have the affected nail trimmed away. If the nail becomes infected, you might notice pus, redness or swelling around the toenail. This might require a course of antibiotics or antibiotic ointment, both of which your doctor will be able to recommend to you. Untreated fungal infections may spread to other parts of the foot or body and could even cause you to permanently lose your toenail. If the black toenail was due to melanoma, ignoring it allows the problem to spread unchecked. Black spots caused by injury to the toenail will usually heal over time, and the nail will be replaced by new nail as it grows out. You should avoid using poorly fitting shoes and switch to an open pair or one that doesn’t put too much pressure on your toes. For fungal infections, over the counter creams, ointments, as well as polishes, can help. Prescription antifungal treatment is only needed for especially severe cases. Baking soda is an antifungal treatment and can be used as a foot soak. Tea tree oil is another effective antifungal home remedy. Simply add some drops to your foot soak. Epsom salts can be used in a soak that also helps ease any pain you might be experiencing as a result of the black spots. Soak your feet in vinegar and warm water. Remember to pat the toenails dry when you are done. Trim your toenail regularly to reduce the risk of injury. Avoid going barefoot in public spaces like locker rooms to reduce chances of contracting fungal infections. Do not share toe grooming tools like nail clippers or even socks and shoes with anyone else, to lower the risk of fungal infections. Wear shoes that fit correctly. Those that are too tight or too loose can both raise the risk of injury or repetitive trauma. Don’t wear socks that are too thick either. These put excess pressure on the toenail. Wear shoes and socks made of breathable material to lower the risk of fungal growth. Keep your feet clean and healthy. There’s no reason for you to quietly ignore the visible problem of black spots under your toenails anymore! Try the simple home remedies and be mindful of how you look after your feet. Something as simple as a change of shoes could make all the difference! For more stubborn fungal infections, proven solutions like nailKALM – Nail Fungus Treatment or Funginix Nail Fungus Treatment can make a visible difference. ← Can I Use Fake Toenails to Cover Toenail Fungus?